What young person doesn't love to travel? 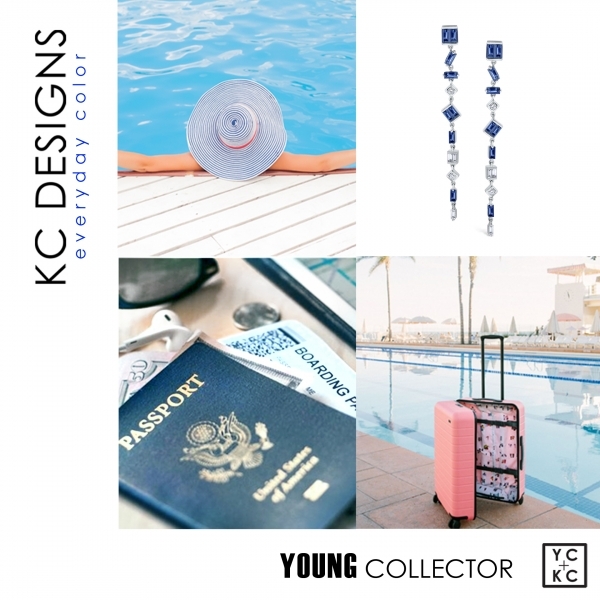 KC's Young Collector series features stylish young women who invest in high end luxury products. A trendy style guide aimed to emphasize fine jewelry on par with designer fashions and the most coveted tech products. Millennials are spending their money on luxury now more than ever. Fill your showcases with products to attract their attention by featuring fine jewelry from KC Designs alongside their most wanted luxury products. Show them how fine jewelry is just another way to heighten their lifestyle.